Omnia line is a multi-format line, compact and versatile, created for the production of a great range of shapes, either standard and special ones, using one machine only. 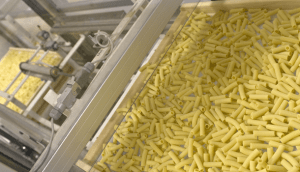 High quality and small footprint to manufacture short pasta, such as maccheroni, or long pasta, such as spaghetti or also special shapes, like paccheri and candele, or optional pasta, such as nests and lasagna. Thanks to the bow-tie machine, it can also produce “farfalle”. Omnia line, our top product, can boast several patents. Premix Plus, Storci’s worldwide patent, is the best pre-mixing system on the market. 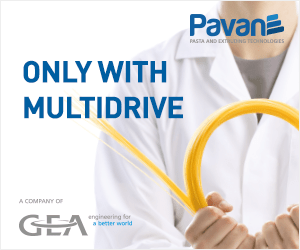 It is the outcome of our long experience in this sector and can mix large quantities of dough with very low power costs, high quality, no operator. The double head, also internationally patented, is the only one of its kind in the world that can produce long, short and special pasta, A specific device directs the dough from a head to the other one, without filling the wrong head and consequently no waste of product. As an alternative to the double head, there is the spreading cone. The pre-dryer Omnidryer, thanks to its original internal configuration, allows the diversion of air flows and adapt them to the shape that has been producing at the very moment. 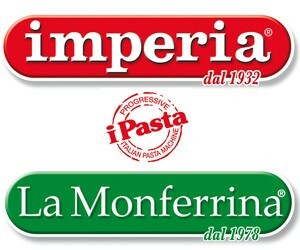 Such a variable configuration, Storci patented, is absolutely unique and can pre-dry both short and long pasta, as well as special pasta, with no changes of the line. 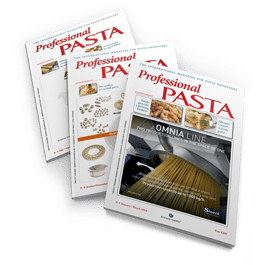 step ahead: it can currently meet the need of whoever wants to produce larger quantities, such as 1,000 kg/h of short pasta and 800 kg/h of long pasta. Thanks to Omnia 1000, in fact, the area of application is ever wider. Omnia success is mainly due to its most important feature: versatility. I mean, it can be used either by a start-up pasta-making factory or by established companies which would like to produce special formats other than standard ones. In this last case, specific parameters are necessary and Omnia is definitely up to it! 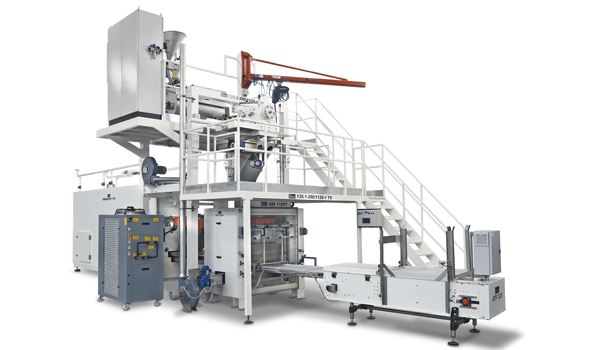 It is also important to highlight its great value for money and the fact that, on request, it can be equipped with instant pasta as well as glutenfree production units, therefore utmost potentiality and versatility. 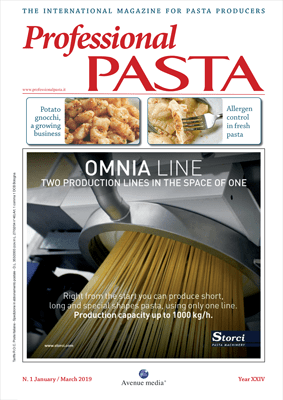 New Omnia 1000, to be precise, has immediately gained the trust of a clear-cut market share throughout the world: Europe, Asia and Africa, proving that its great potentialities have been recognized at once by those who intend to produce high quality pasta.